Designing a prestigious event brochure which will be given to the 70 delegates from 10 countries to visit 7 of the top universities in UK. The feel of the brochure reflects the high profiles and statures of the institutions involved in the mission. 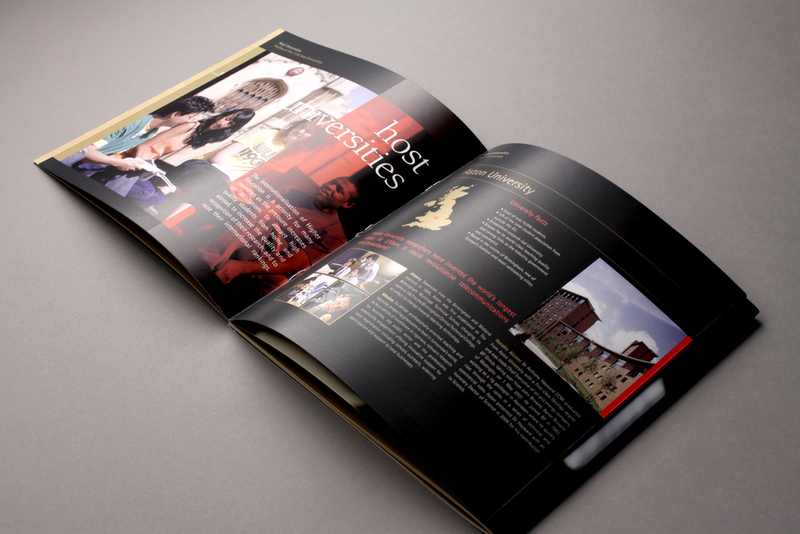 Our design approach encompasses strong use of black and gold.